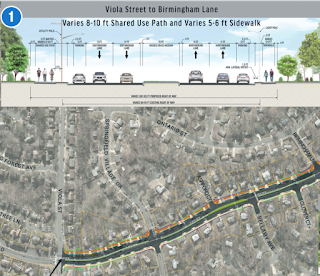 The VDOT public meeting on November 30 on the Rolling Road widening project covered a couple of issues affecting the project and its planned shared use path. 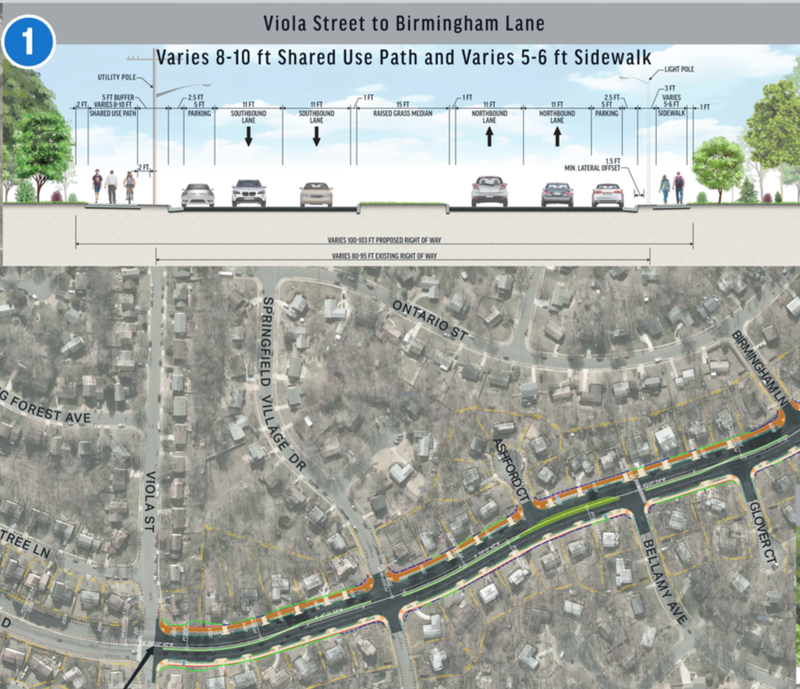 The good news is that the shared use path, which will only be on one side of Rolling Road, will be extended beyond Viola Street (the end of the widening project) to the Fairfax County Parkway. The bad news is that some property owners do not want a 10-foot shared use path or a 6-foot sidewalk in their front yards. There was significant group at the meeting asking VDOT to build something narrower. The shared use path should be designed to support a heavy volume of users since it will be a major bicycle transportation route. Federal design standards specify that heavily used paths should be 12- to14-feet wide with a 2-feet graded area on both sides of path. Standard shared use paths are 10-feet wide. With the planned path serving as a commuter route and access way to an elementary school, unless there are exceptional circumstances, the path should not be built less than the 10-foot standard. Building anything narrower would endanger the safety of pedestrians and bicyclists. You can submit comments via e-mail (please put "Rolling Road Widening" in the subject line) or mail through Monday, December 11.